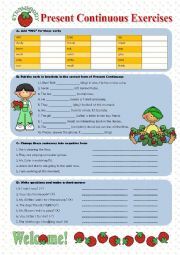 There are four main parts in this worksheet: add -ING in the verbs, put the verbs in brackets in the form of Present Continuous, change the sentences into negative form and make questions and answer. Hope you can enjoy it. No Answer Key included. 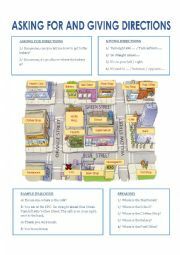 This is a speaking worksheet for primary students to practice asking for and giving directions. There are some sentence structures and sample dialogue to help them learn better. Hope you love it. There are 2 main parts in my worksheet. I review basic form of question tags with TO Be in the first part and then, I prepare 20 questions for practice. 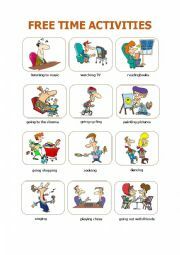 It is useful and easy for students who start to learn this grammar note. There are 24 free time activities on 2 pages. Have a nice day. 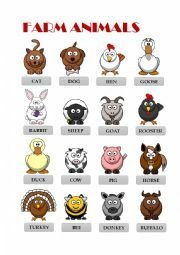 This worksheet is for teaching Farm Animals in ESL classroom. Hope you enjoy it. 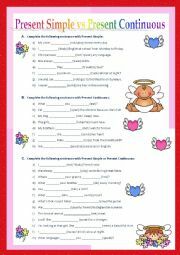 This worksheet contains 2 main parts: fill in the blanks by using present perfect tense and distinguish some signal words for present perfect tense: ALREADY, YET, NEVER, EVER, FOR and SINCE. 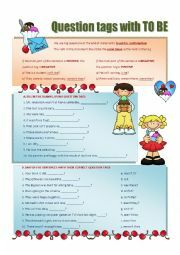 Students who start to learn Present Perfect Tense can use it to practice their understanding and review. 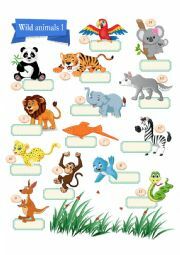 This worksheet shows 14 wild animals. Teacher can use it to review the names of some wild animals students have learned before. 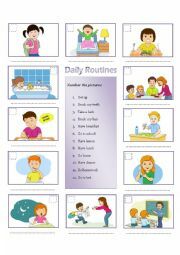 This worksheet shows your daily activities. Students have to number the pictures and write the activities. Hope you enjoy this!